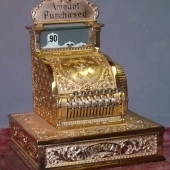 Invented in 1880, Jack Ritty’s Incorruptible Cashier forever changed the way retail establishments would conduct everyday business. 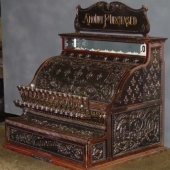 The first machines were sold not only for their functional ability, but also on their beauty – a fixture which every store owner would be proud to display in his establishment. 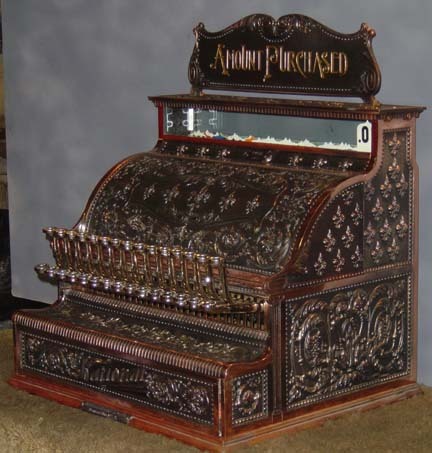 The first cash registers were housed in elegant cabinets of polished wood. 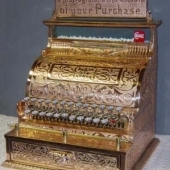 In 1888 ornate cases of brass and cast iron were produced. 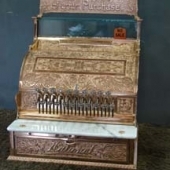 These fancy cases on cash registers ceased in 1915 due to demand for brass during World War I. 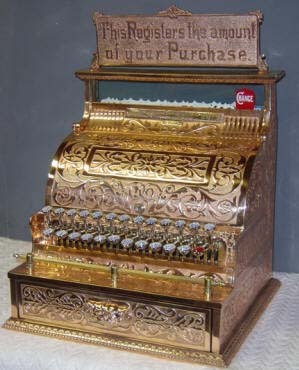 Less expensive sheet metal versions were then produced and the era of the brass cash register ended after only 27 years. 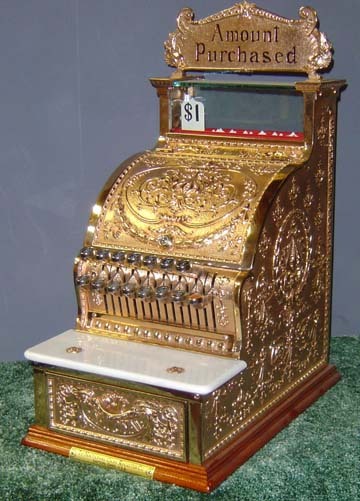 This is a photograph of one of the first registers ever invented. 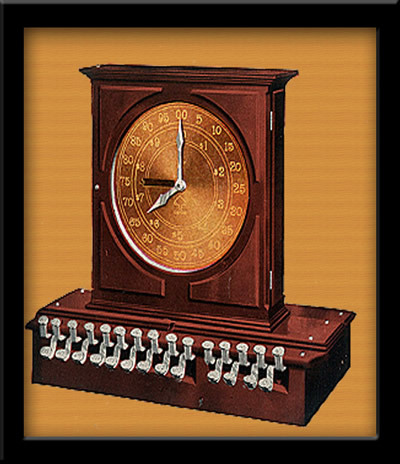 This is another example of a very early register - typically called a dial register. 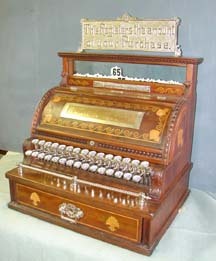 This register is a wooden register, also called a "woody" in the clamshell pattern. 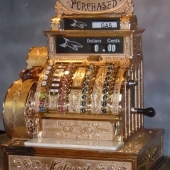 The model is the key to what your register is. 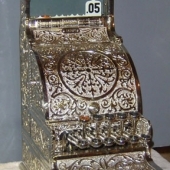 The model number and serial number are usually located on a tag on the front of the machine. 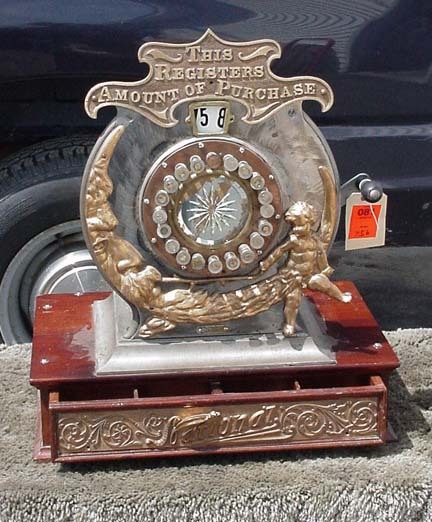 Before 1909, registers were either a one- or two-digit model number, for example, model 2, 50, 92. 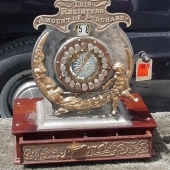 If your register is a push-key register and was made before 1909, the model number is usually located on an oval tag to the right of the register directly under the glass (it may say “size”). If your register has a crank on the right side, the model number is usually located on a badge between the push buttons. 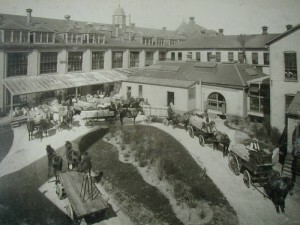 After 1909, National switched to a class system, and the model numbers changed. 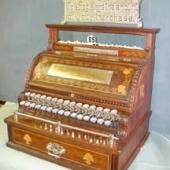 For example, a model 72 changed to a model 442 after 1909. If this tag is missing, the information might be found on a paper tag on the bottom of the cash drawer. 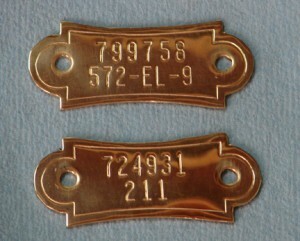 Please refer to our parts section, we do have the capabilities to make tags. The bottom number is the model number. This model number is very important when trying to establish what kind of register you have. 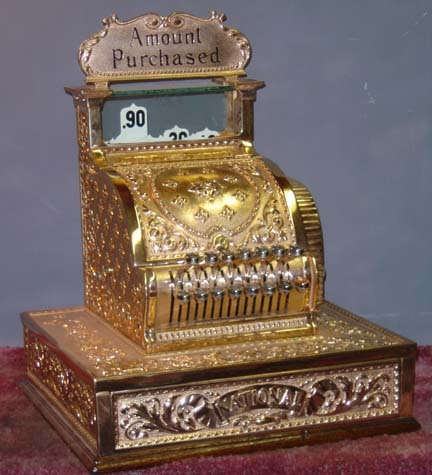 The below table is a guide to tell you what year your National Cash Register was shipped from the factory. Registers were numbered sequentially, and not according to what model they were. The serial number is the above number on the tag on the front of your machine. 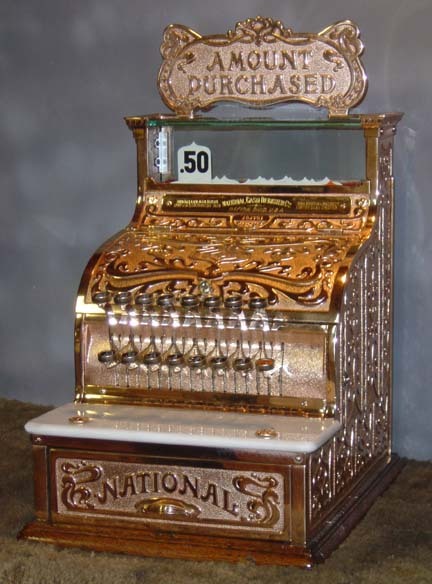 National cash registers were made in red brass, nickel plate, and copper oxidized. If your register looks to be in different colors of brass, this is because at some point somebody has stripped off the old nickel plate. 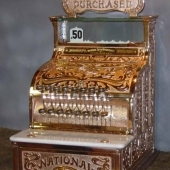 If your register was originally nickel plate, then most likely your drawer front is solid nickel, because this is the piece of the register that was touched most often, and National put solid nickel drawer fronts on the register so the nickel plate wouldn’t wear off. 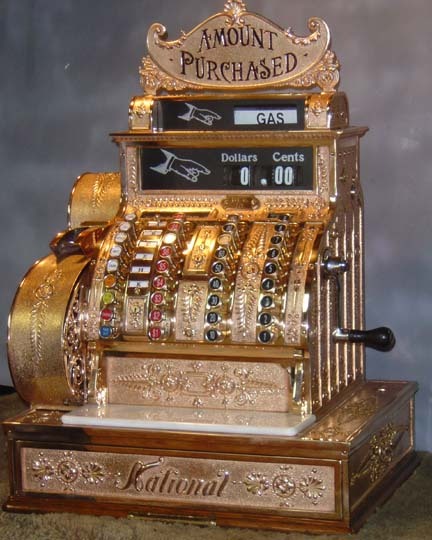 It is highly unlikely that if your register is a nickel plated register, that it will be completely one color under the nickel plate. 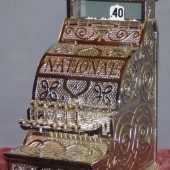 This is because when National was putting their registers together, when they got a batch from the foundry that was different colors, National nickel plated the register. 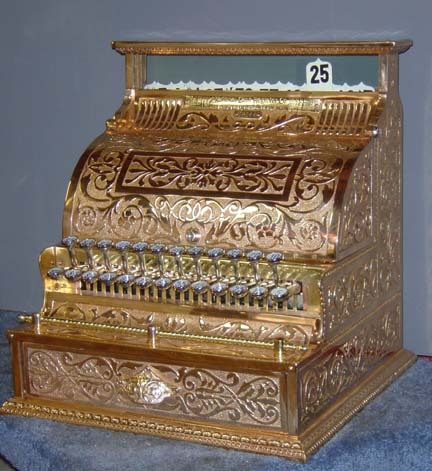 This red brass Model 129 is an example of the Art Nouveau pattern. Here is an example of a chicken scratch pattern. The pattern has little "scratches" as the background of the design. This red brass Model 313 (and most models in the 300 class) is an example of the Dolphin pattern. The sides of the case and the front lid have a large "onion" or "carriage". The top sign has dolphins on either side of the top sign. 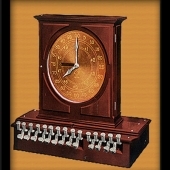 This red brass Model 442 (and most models in the 400 and 500 class) is an example of the Empire pattern. 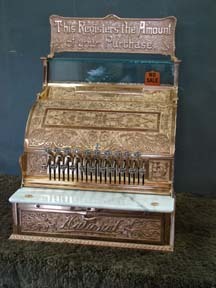 This nickel-plated Model 5 is an example of the Fine Scroll pattern. This copper-oxidized Model 240 is an example of the Fleur De Lis pattern. You will notice the fleur de lis on the sides and front of the case. These look like Boy Scout symbols. 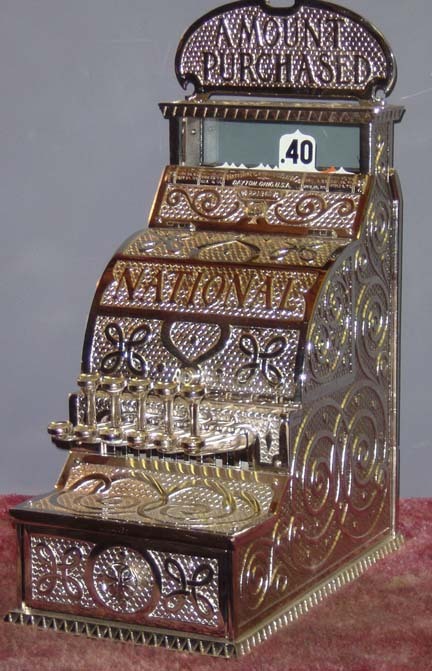 This nickel-plated Model 11 is an example of the Ionic pattern. 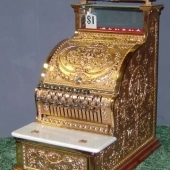 These machines are typically cast iron machines with a nickel plate or copper-oxidized finish. 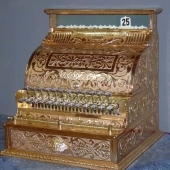 This red brass Model 52 is an example of the Renaissance pattern. There are little four-leaf flowers on the sides and front lid of the case. There is also a ribbon on the drawer front. This red brass Model 2 is an example of the Wide Scroll pattern.